Email marketing was the most effective marketing channel, driving 25.1% of sales – from Custora. One in five sales happened on smartphones on Black Friday 2015; a 75% increase from last year – from IBM Silverpop. Let’s look at these insights in more detail. 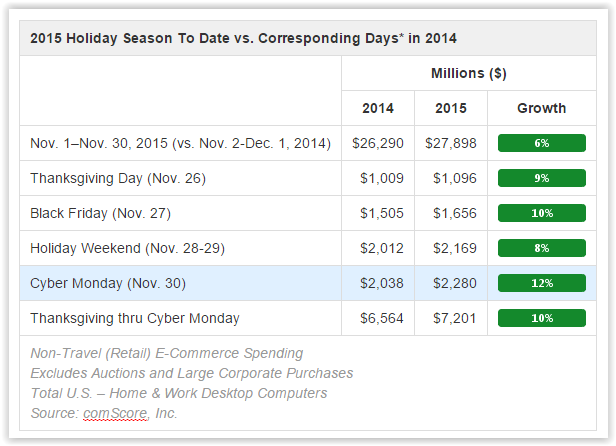 Email marketing was a leading driver of online sales on Black Friday. 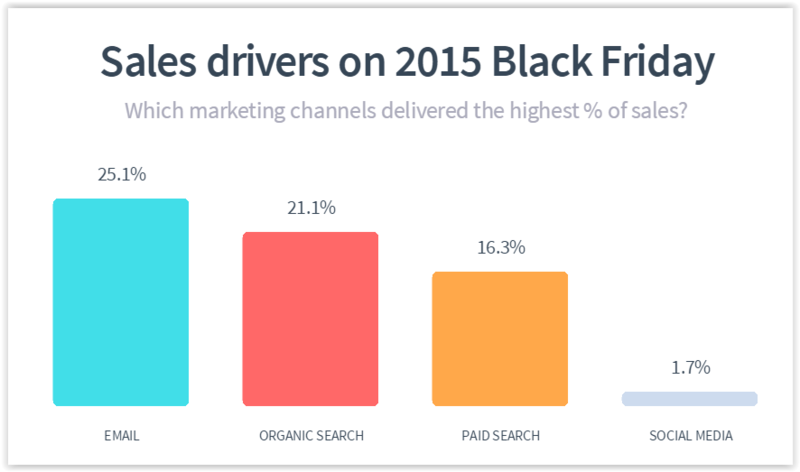 Custora reports that while email marketing usually lags behind online search, a shift was seen this past Black Friday, with email marketing driving 25.1% of orders, followed by free search (21.1%) and paid search (16.3%). 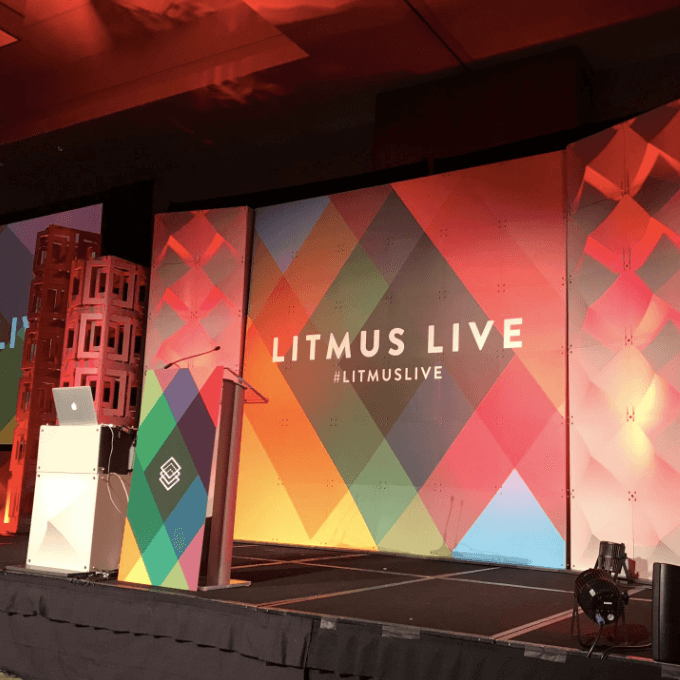 Social media drove only 1.7% of sales. 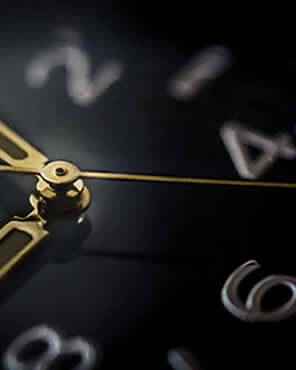 Time and time again retailers see email marketing is paying off. IBM’s Silverpop reports that while mobile opens on Black Friday were up only 2.7% over 2014, click-throughs grew 22.8%, from 44.7% in 2014 to 54.9% in 2015. 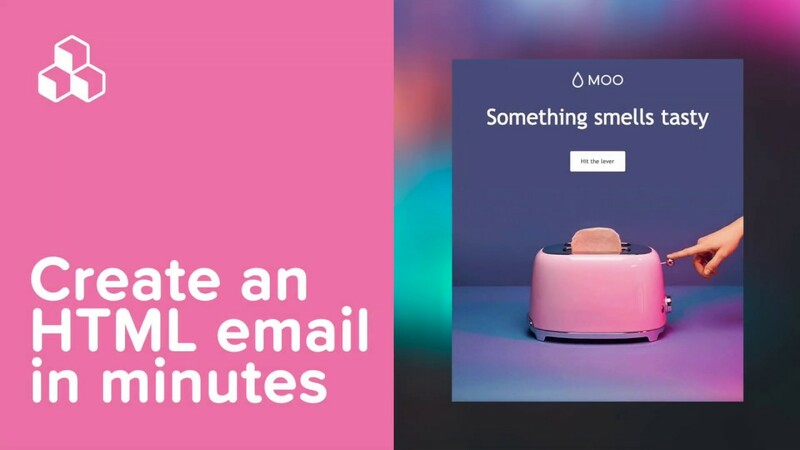 Subscribers are finding email content more compelling, and brands’ good design—including mobile-first techniques—is no doubt at the center of that. On Black Friday, sales from mobile devices hit 36%, up nearly 30% from 2014. Of mobile sales, about 1 in 5 purchases occurred on a smartphone, a marked 75% increase from Black Friday last year (11.8% in 2014 to 20.6% in 2015). 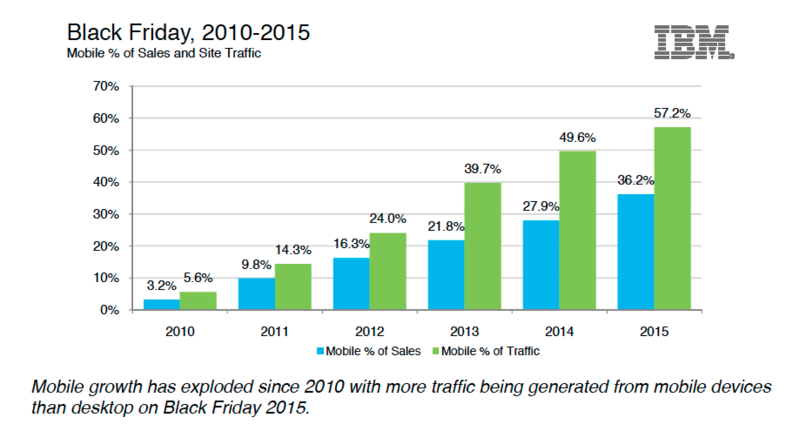 According to IBM Silverpop’s benchmark data, mobile traffic and sales have expanded 10x from 2010 to 2015. 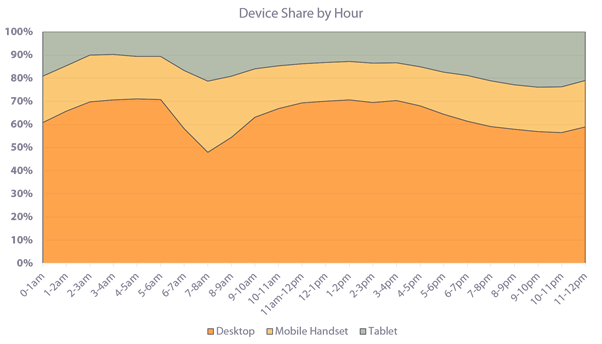 At the same time, on Thanksgiving Day, mobile exceeded desktop shopping traffic at 57% for the first time, and mobile generated over $639 million in sales, a new record, according to Adobe.It can’t get even more evident that smartphones are becoming a dominant device for holiday browsing and shopping. 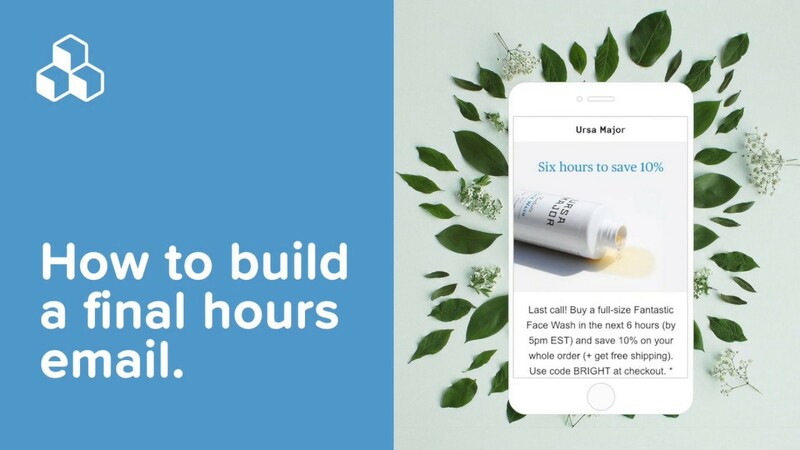 And that’s what “mobile first” means for marketers: realizing that “mobile” has become the browsing method of choice for the majority of users. It’s no longer a new, growing trend. It’s the new normal. Where are the purchases happening? Apple products lead the way. 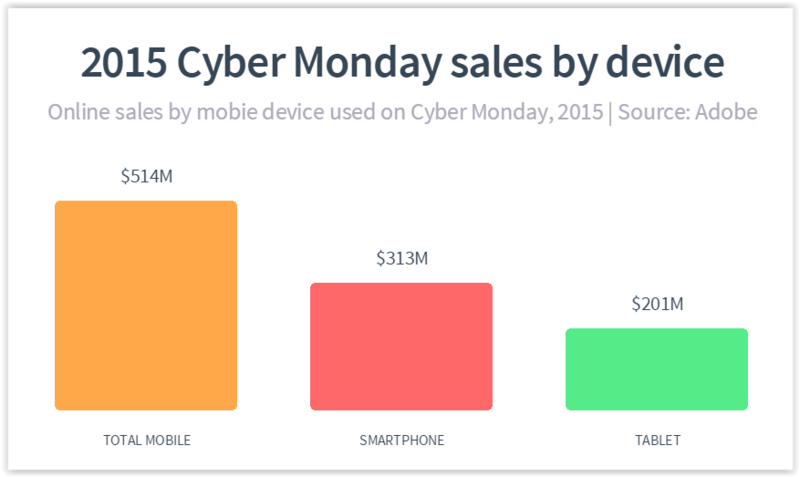 On Cyber Monday, Adobe reports that of $514 million in sales occurring on mobile devices, $313 million came from smartphones ($205 million iPhones, $107 million Android) and $201 million from tablets ($170 million iPad, $28 million Android). Data from Custora E-Commerce Pulse showed that 77.6% of all orders made on mobile devices happened on Apple devices, followed by 22.1% on Android devices. Among all the stats and numbers, the biggest learning we took away from the Thanksgiving holiday shopping season is this: mobile email click-through-rates skyrocketed 23%, despite open rates changing very little. 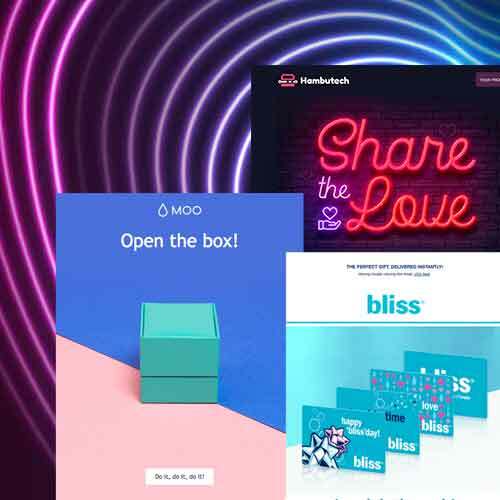 Brands are clearly becoming more adept at executing effective email design, and understanding the importance of responsive design and mobile optimization. 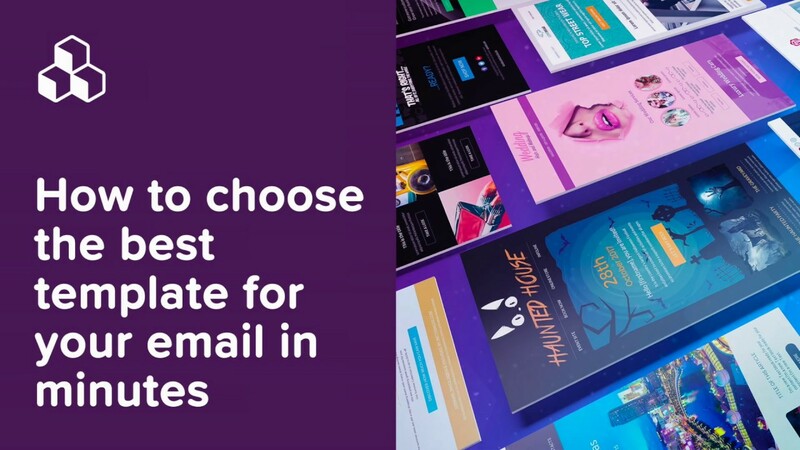 It’s no longer an option to bypass mobile optimization for email. 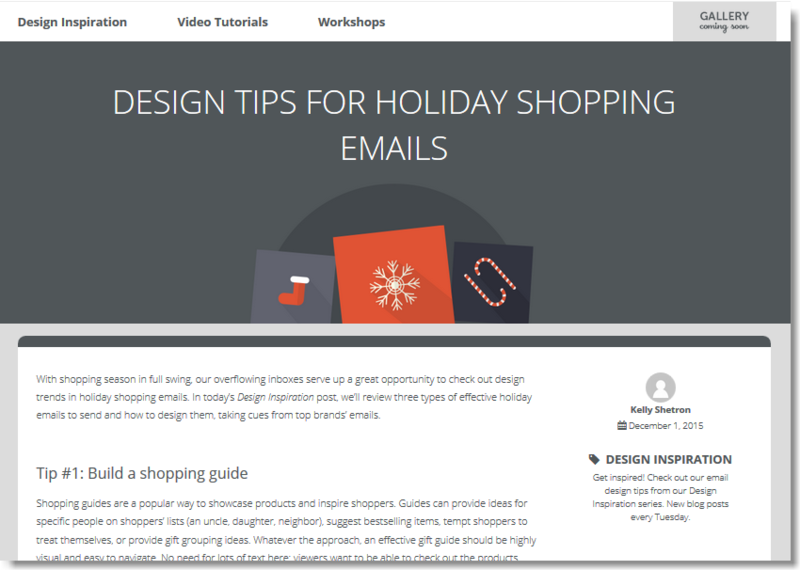 Feel free to check out our Design Tips for Holiday Shopping Emails blog post. Start with these mobile best practices, above anything else, to reach your mobile subscribers. 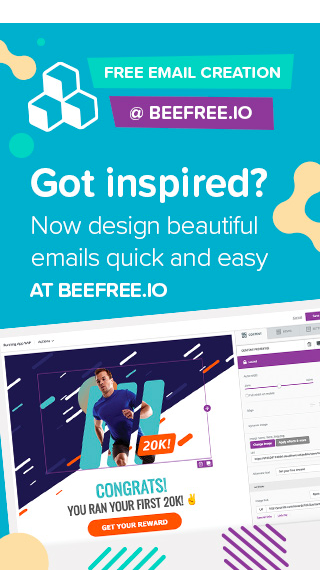 You can start designing your email message with our free, drag-n-drop BEE email editor, which creates fully responsive and mobile-optimized emails. And, let us know what was your most interesting or surprising email marketing stat during the Thanksgiving holiday.